At the end of the past school year, I shared my experience "un-schooling" my classroom and giving a final on Twitter (You can read all about that here). Over the summer, I worked with my wonderful colleagues Rabbi Daniel Rosen and Mrs. Meryl Feldblum to create a project-based learning curriculum for The Frisch School's Honors Sophomore classes. One of the assessments and experiences we wanted our students to have was a Twitter chat that would have them reflect on the lessons they had learned about the first part of the school year, which will be about stock characters, stereotypes, and how literature gives voice to the voiceless. 1) How exactly do you run a Twitter chat for your students? 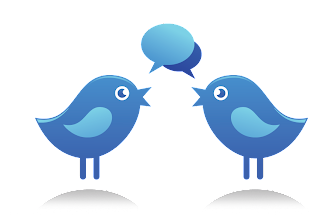 Step One: If you don't know what a Twitter chat is, check out this blog post to find out, and think about the ways you'll be adapting the forum for your classroom. Step Two: Make sure all your students have a Twitter account, and read these helpful safety tips: Twitter Safety Tips for Teachers. I found it useful that my students had already tweeted to me early on in the year, and we practiced having a discussion before the exam. Step Four: Teach your students what a Twitter chat is. I've learned so much from my Twitter PLN, #jedchat, and I explained what it was to my students as an example of the kind of roundtable discussion we would be having. Vicki Berhman of Behrman House pointed out that the Twitter final sounded a lot like the Harkness Method of teaching, and I wholeheartedly agree. Check out some ideas about the Harkness model, which emphasizes a collaborative, student-centered approach to having class discussions. Notice how engaged and happy students look as they take their Twitter exam!? Step Four: Have everyone be in the same room for the Twitter chat. I know this sounds strange, given the fact that one of the advantages of a Twitter chat is that no one has to be in the same place. I found that part of the excitement of the medium was having everyone present. I was able to gauge student interest, participation, and knowledge not only from what the students tweeted but also from what they were saying and doing during the hour-long chat. Students were excitedly responding to each other and calling out ideas they wanted to share as they tweeted. Because the exam format is a new one, being in the same room allowed me to answer questions students had about the format and to solve technological glitches. 2) How is a Twitter chat different from a well-moderated class discussion? migdalorguy: @jonas_leavitt @livmylife1 and isn;t there an aspect of love in art? yakhoffman: RT @PEJEjds: @TikvahWiener @PEJECohen @yakhoffman This is great. Two: A Twitter chat becomes a creation, an authentic product, of the class in a way that a class discussion, even a good one, does not. For some reason, perhaps because the chat exists online and the words aren't disappearing as soon as they emerge from people's mouths, the Twitter discussion seems more real. This became apparent to me even before the final, as the students and I spent time trying to figure out what kind of authentic assessment we wanted to have for the end of the year. When we decided on the Twitter chat, I asked a student what she thought of it. She said, "I get it. We're making the final together." Because project-based learning, what the class had engaged in all year, focuses so much on content creation, no response could have pleased me more. The student saw the final as a collaborative act of meaningful creation. To reinforce the feeling, I archived the chat immediately after the final and shared the archive with the students on the Facebook group we had created. The post immediately received a whole bunch of Likes. You can see the archive here. Three: The chat created joyful learning. I'm a big proponent of making learning joyful and fun, and the chat did just that. I realize it was partly because it was a new toy, and if we did it all the time and if every assessment was on Twitter, it would quickly lose its shine. However, employed as it was, after a year of PBL and with the consent and buy-in from the students, it was a huge success. Not only were the students excited during the chat, but they went home after the final and told their parents about it; for a few days after the exam parents in the community who saw me stopped me and let me know how much fun their kids had had. I always want learning to be that exciting. livmylife1: @CoryBooker first ever twitter final at Frisch! Starting at 9:35 EST #10final. shows his [Shakespeare's] continuation of his thought on true love, not physical love. What I found was that the students made comments that were far deeper and richer than I expected and did so in a natural and organic way. Which leads me to my next benefit . . . .
Five: Digital Literacy. The students saw that an online forum can be a dynamic place to exchange views not about the tawdriness of Miley Cyrus' twerking but about matters of deep significance to themselves and the world. They adhered to the rules of netiquette, which we had reviewed only minimally, agreeing and disagreeing with each other respectfully, and making social media a place for lively, sophisticated, and engaged dialogue about important, soul-deep matters. jrosen97: @swimer123 #10final but doesn't it make you realize how corrupt society is? Now that I have this information, I know how to set up an even more effective Twitter chat next time, by showing my students exactly what I'll be looking for and what they can do to make an impact in their chat. In fact, here's my new Twitter chat rubric. I'd appreciate feedback on it. What about Grammar, Spelling, and Punctuation? As you can tell, I wasn't as concerned with the mechanics of writing as I would be in an essay. I did tell students that they couldn't use the wrong forms of its and it's and their and there and that I wanted them to make some sort of grammatical sense in their syntax, but a Twitter chat isn't the ideal place to teach proper mechanics. About two weeks before the final, the students had handed in a five-page term paper on one of Shakespeare's sonnets, and they had had multiple opportunities to write and revise their writing throughout the year. My aims for the Twitter chat were different, but I do see digital literacy as an important part of any classroom, not just an English one, so I was satisfied that the forum was an appropriate one for my purposes. If you want to ask additional questions about this assessment format, feel free to contact me at Tikvah.Wiener@gmail.com. But if you have some experience on Twitter and want to give this a try, I can assure you you and your students won't be disappointed. And please let me know how it goes!